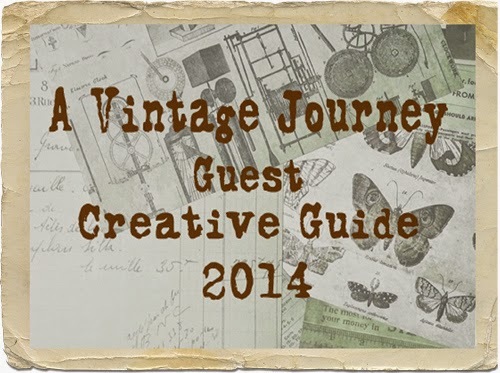 I am excited to have been invited to a Vintage Journey as a guest creative guide for this challenge. 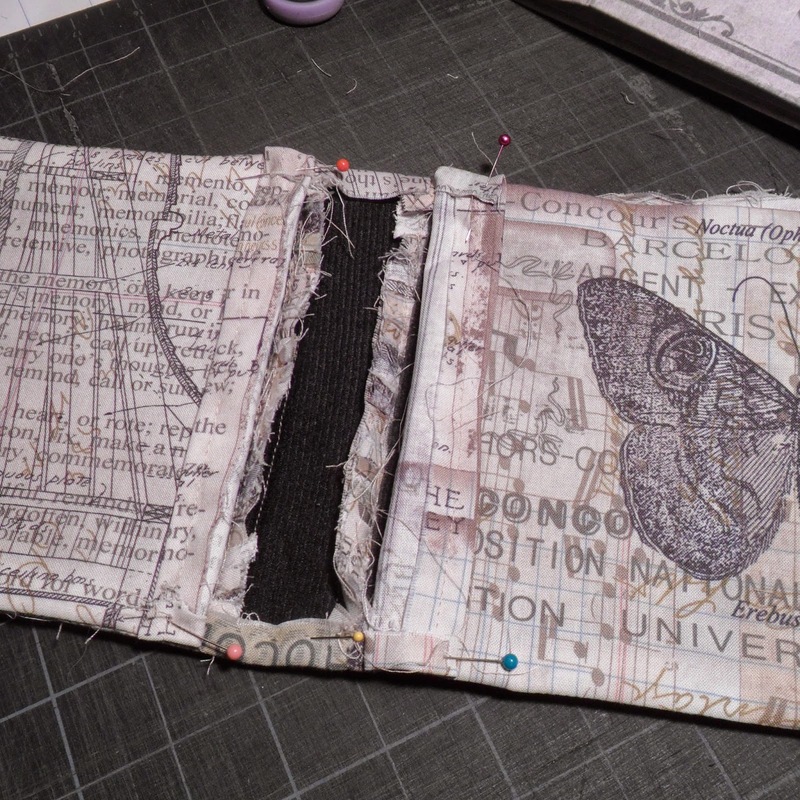 Here is a link so you can see all the other inspirational pieces for their current challenge “All Sewn Up”. 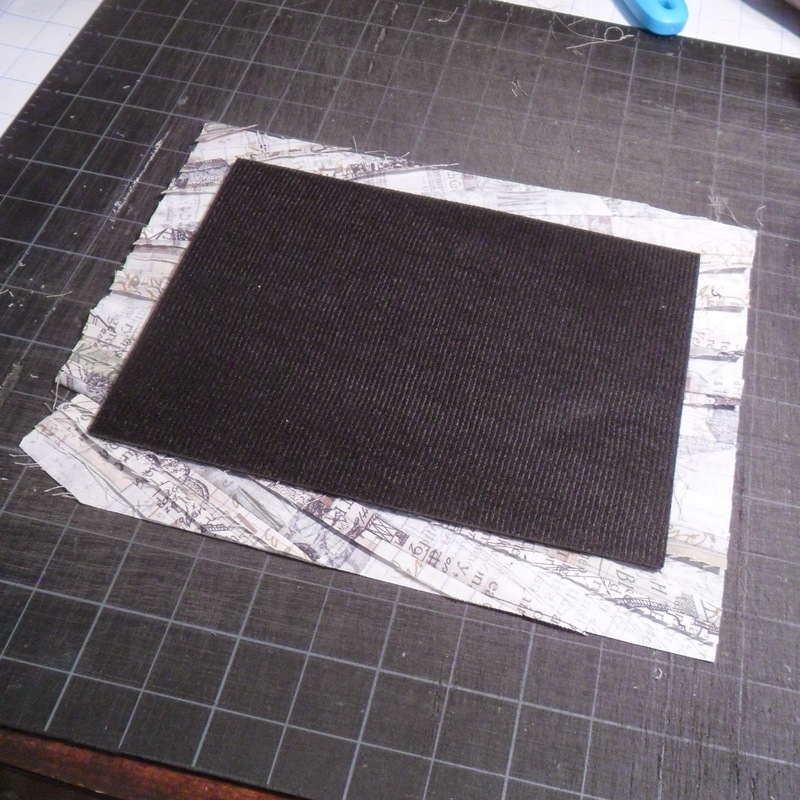 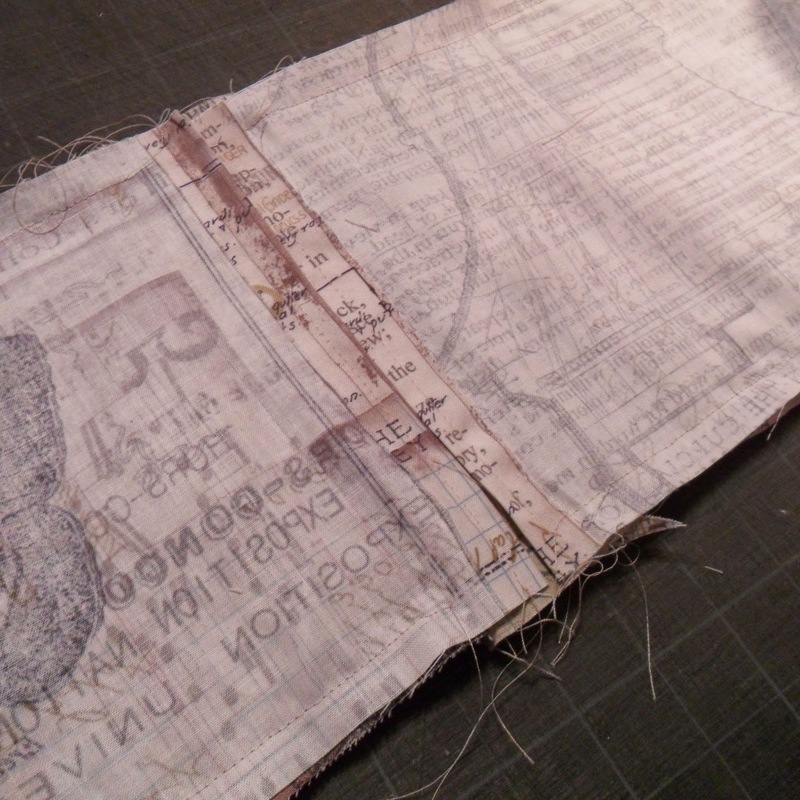 Not that sewing was required but, I do love to sew, and that little corner of my craft room is often neglected. 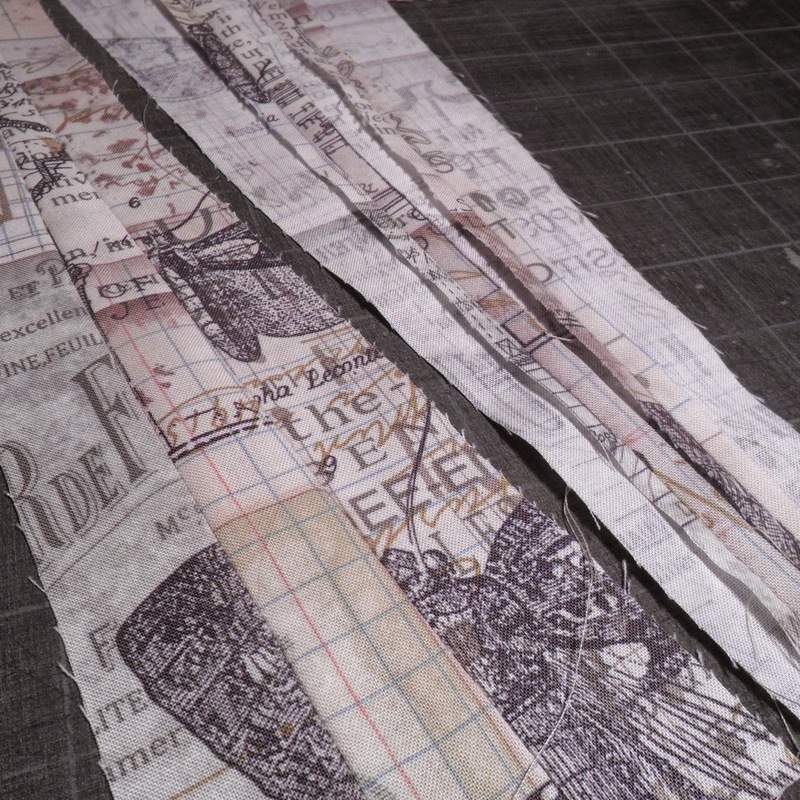 Like most of the things I make, I have an idea of what (I think) I’m making and then just go for it. 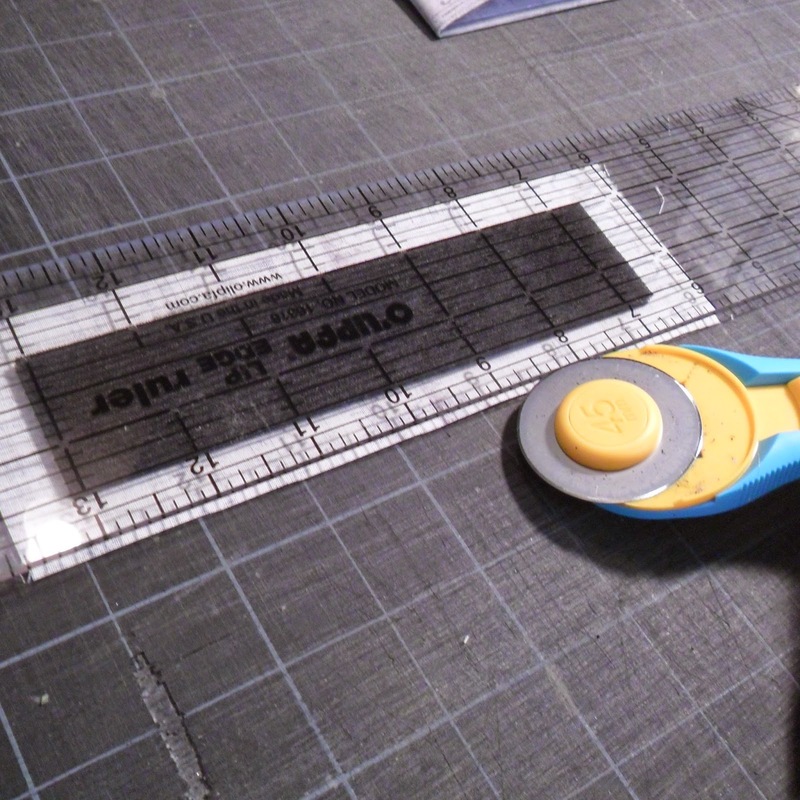 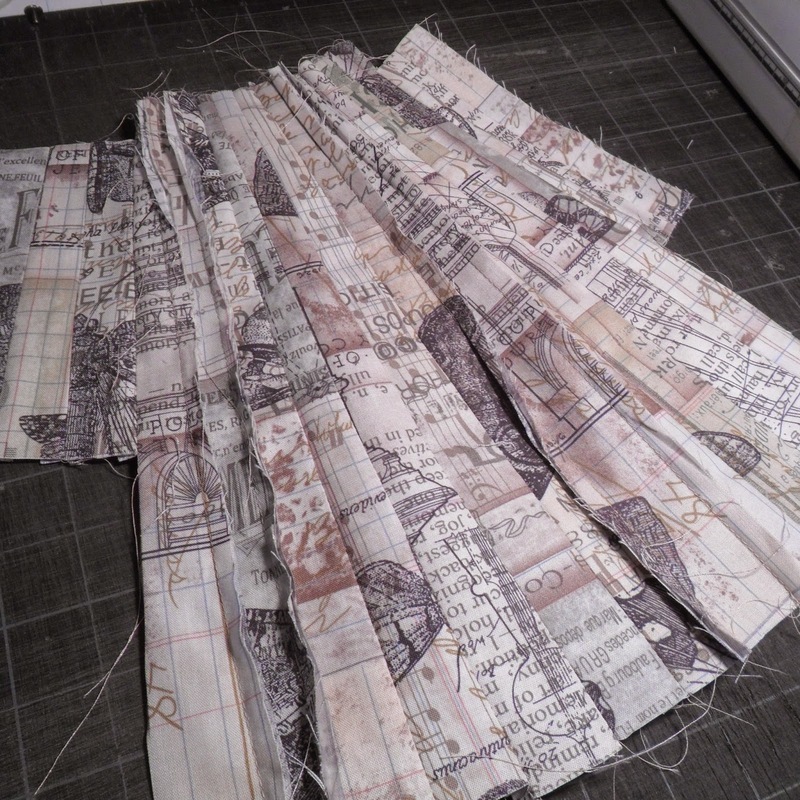 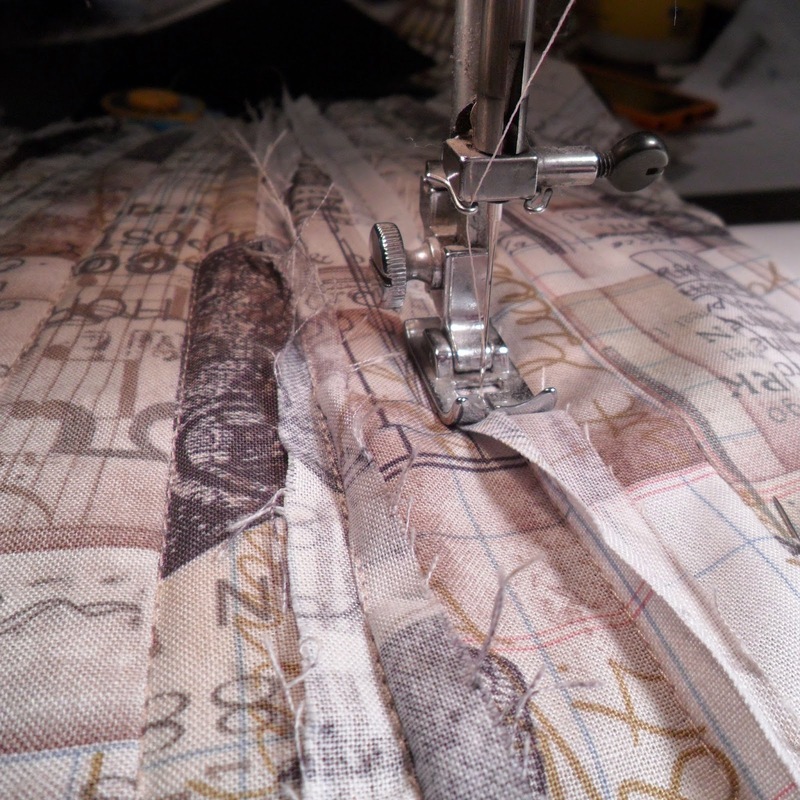 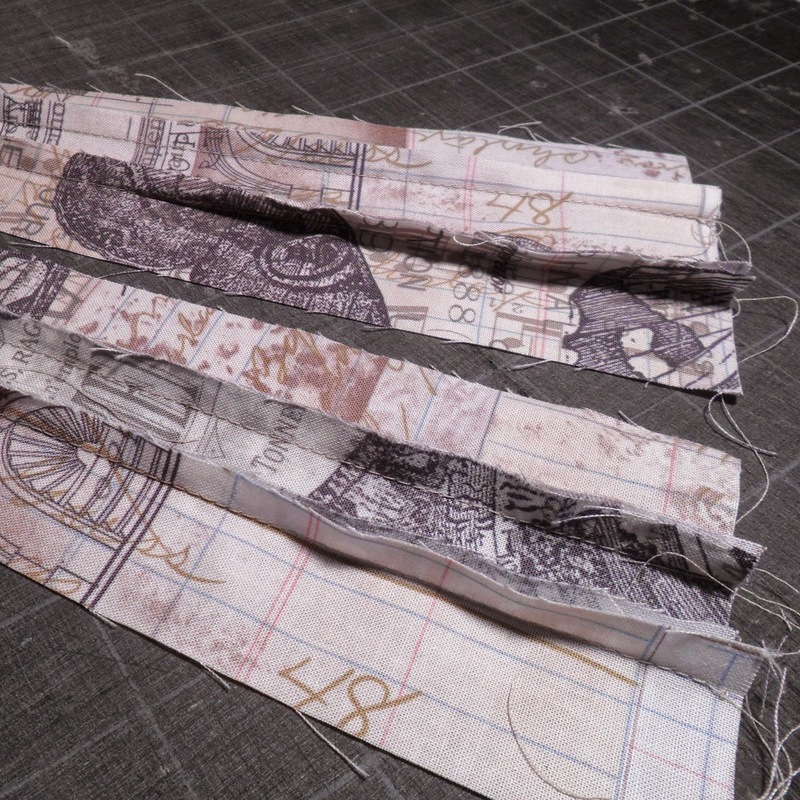 No pattern; just a wheel cutter, quilting ruler and a hot iron...pedal to the floor. 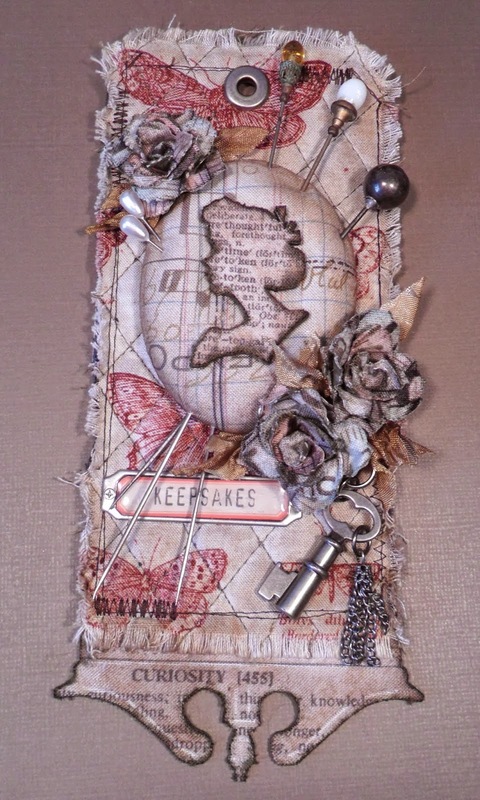 Thank-you for taking the time to stop by and share in adventure, part of my Creative (Vintage) Journey. 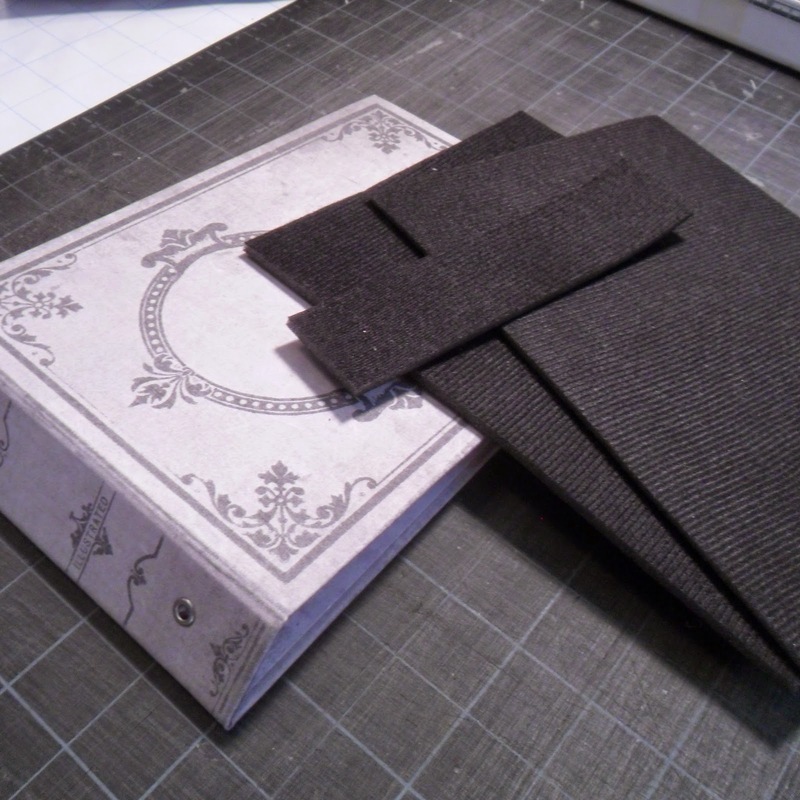 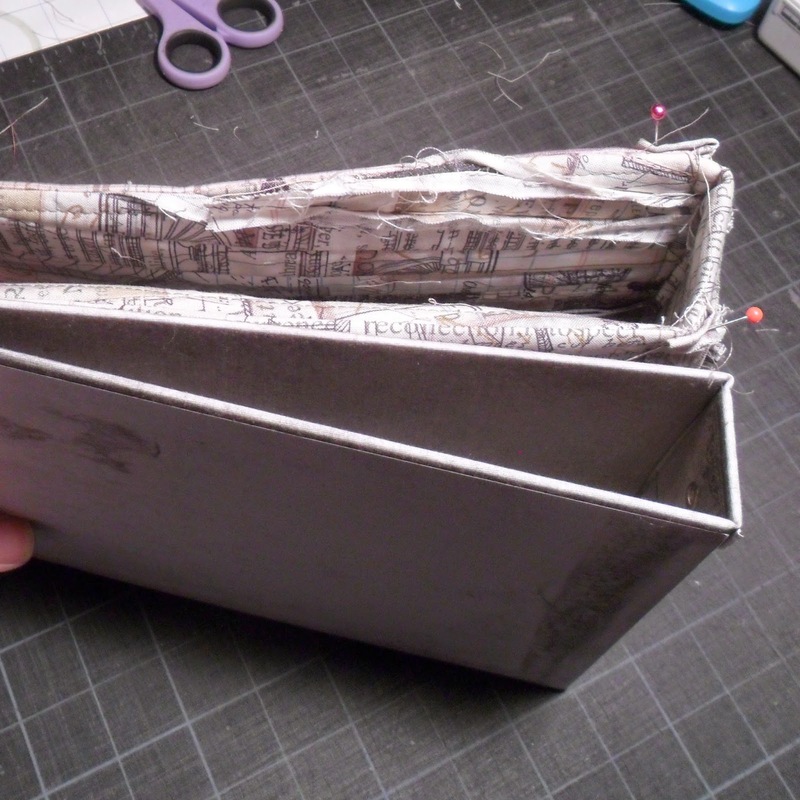 Vicki this is just one amazing project, so cleverly designed and made and perfect for our challenge at AVJ. 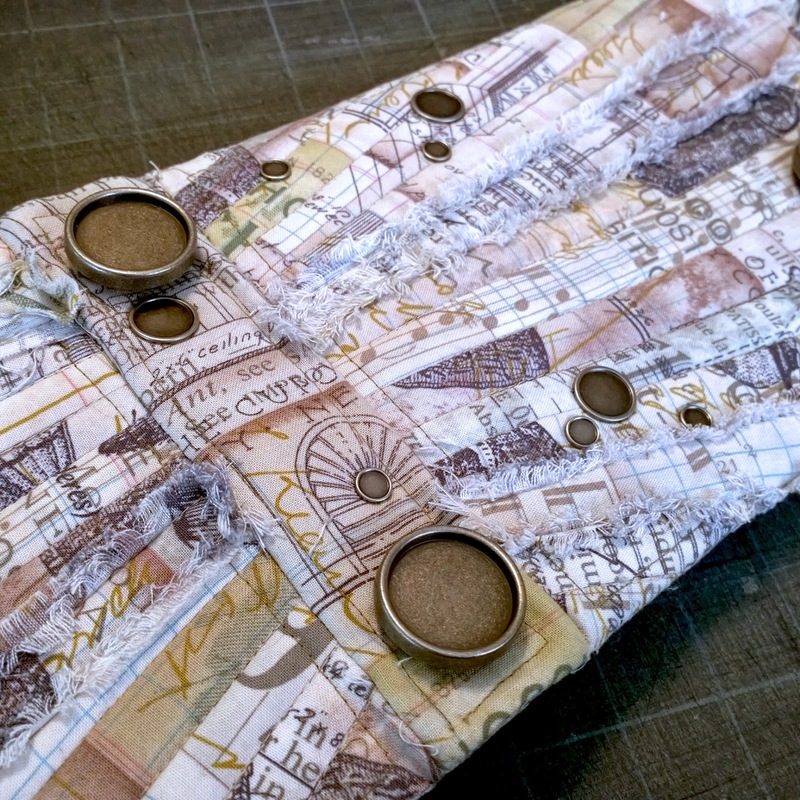 Thank you for taking the time to share this with us and be such a fabulous Guest Creative Guide. 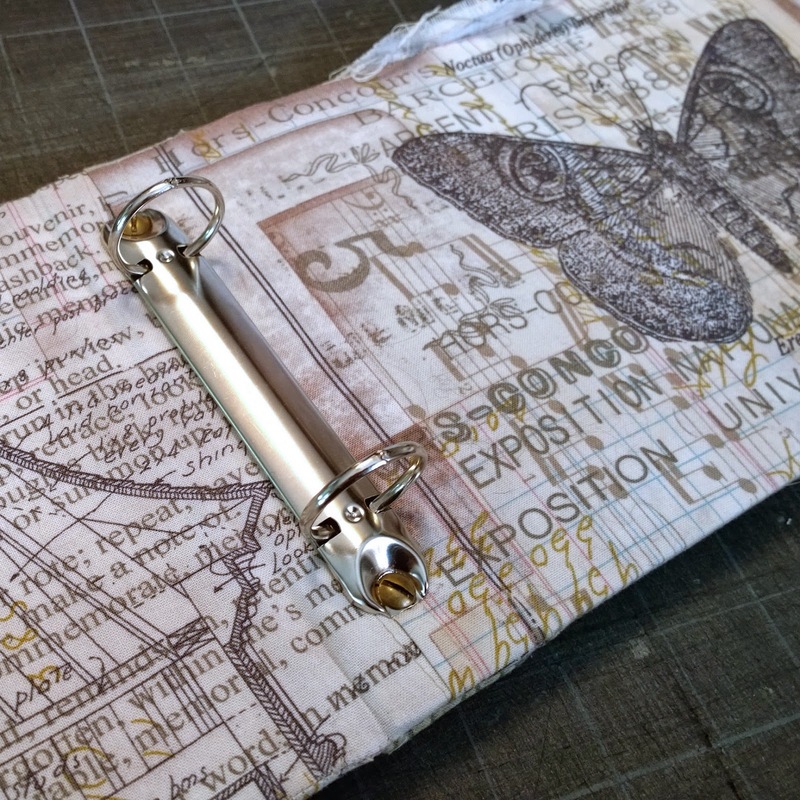 I saw your project at A Vintage Journey and popped over for a look. 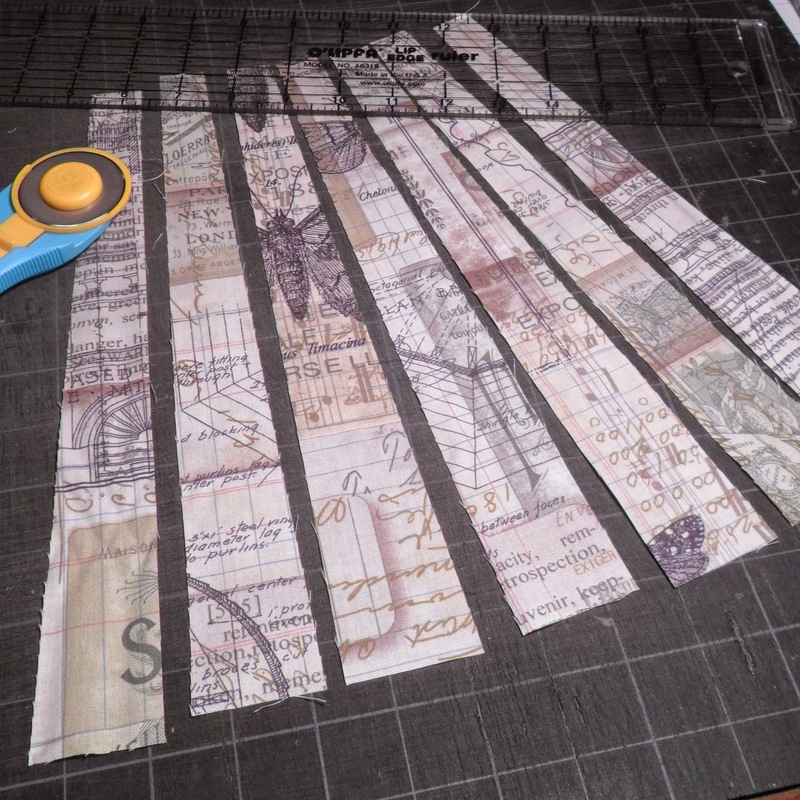 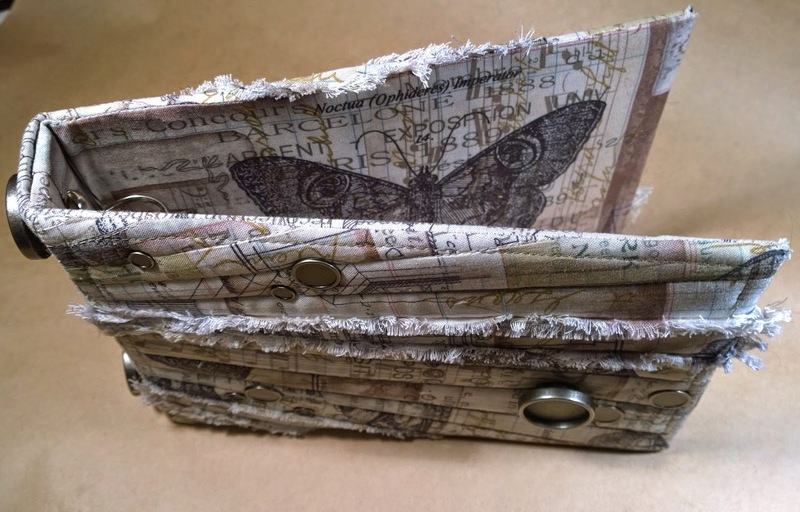 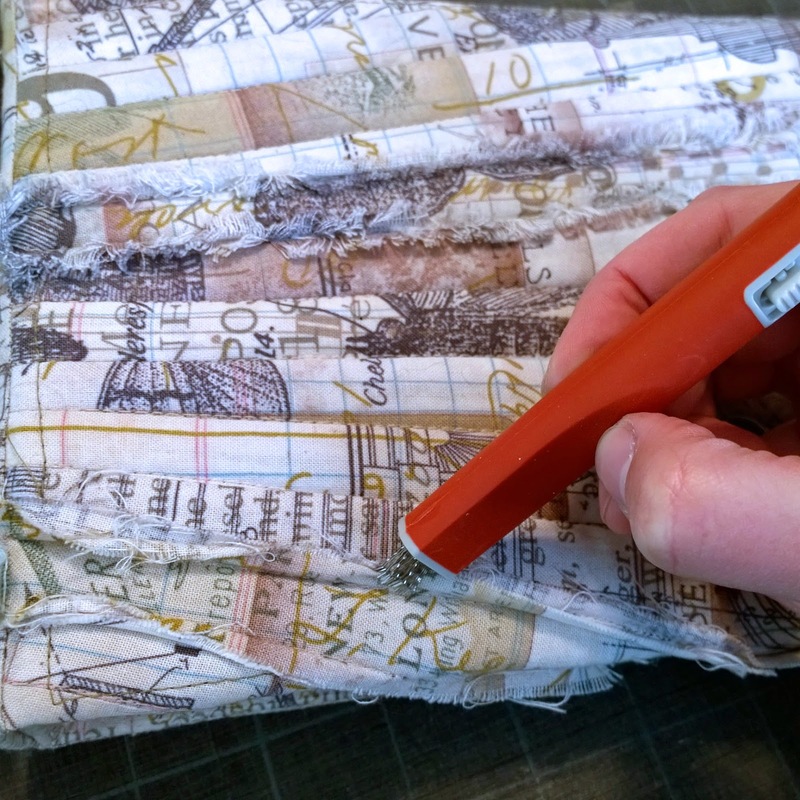 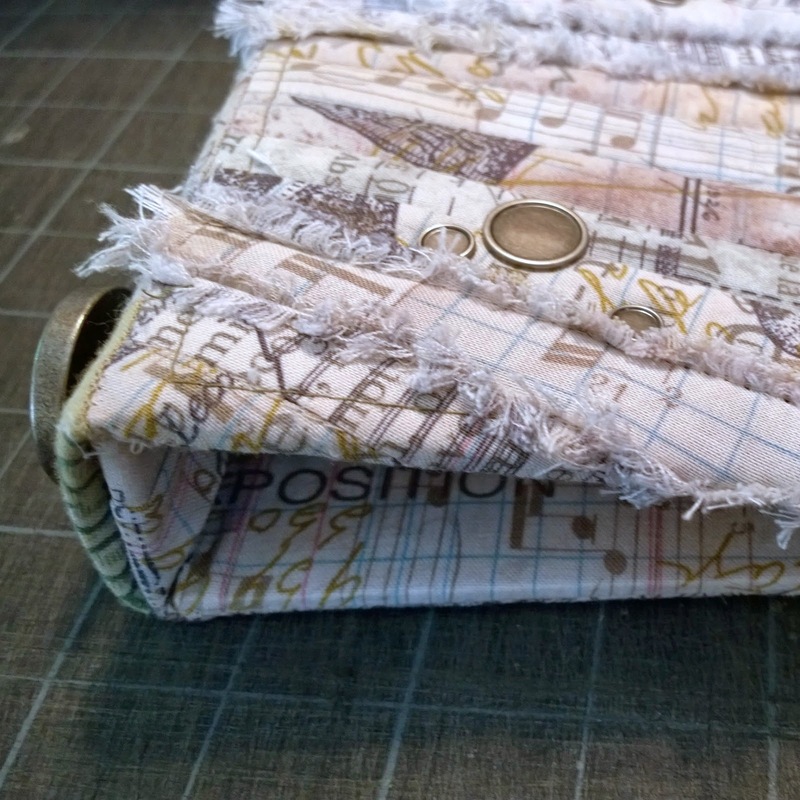 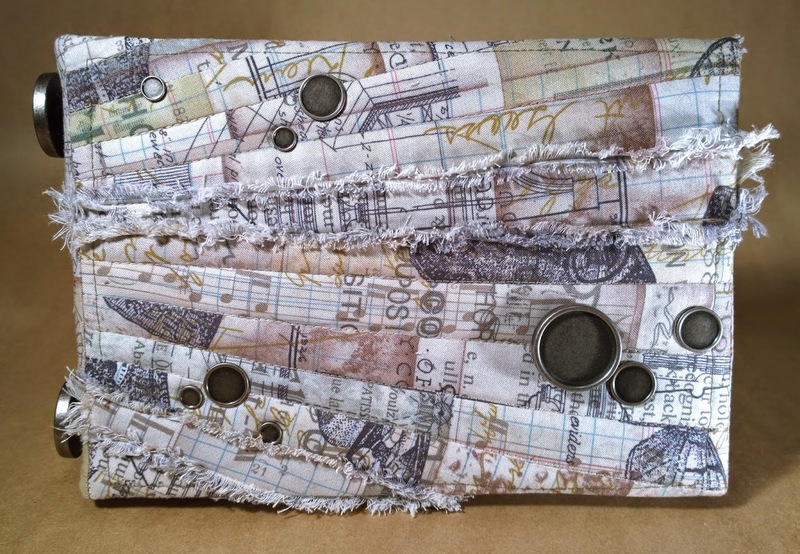 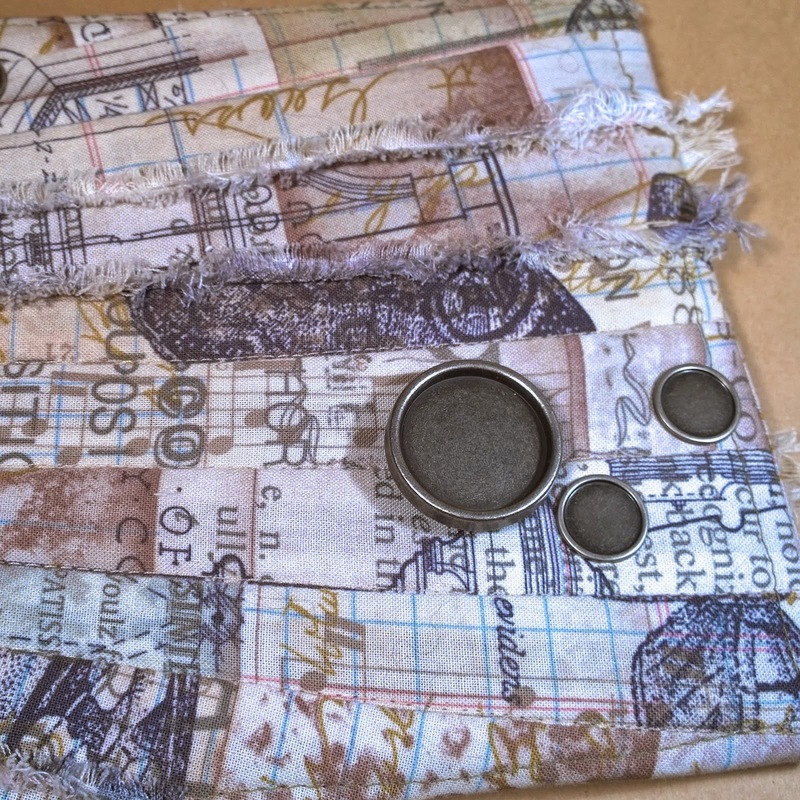 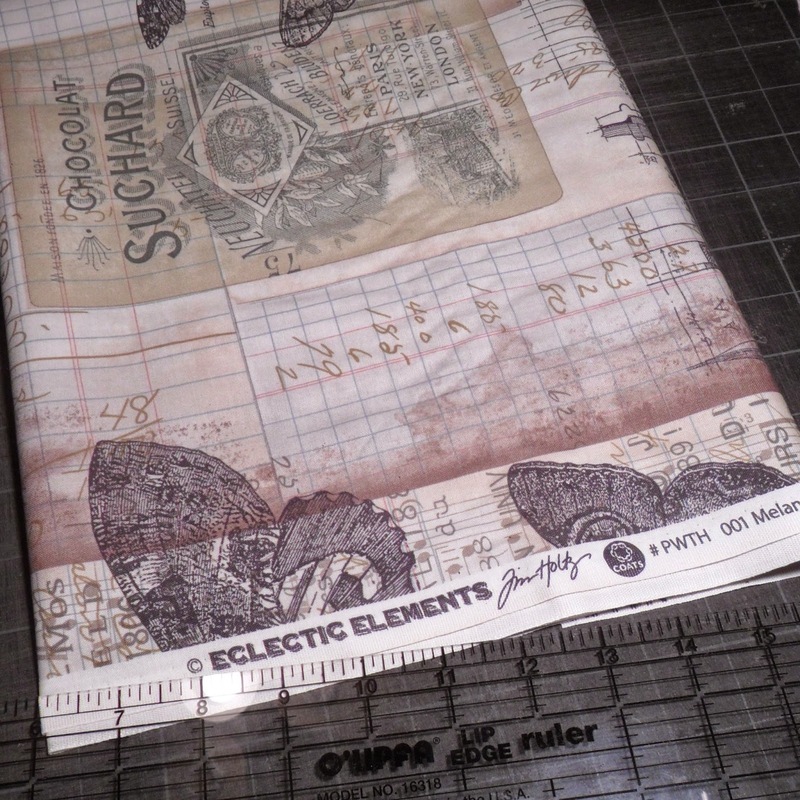 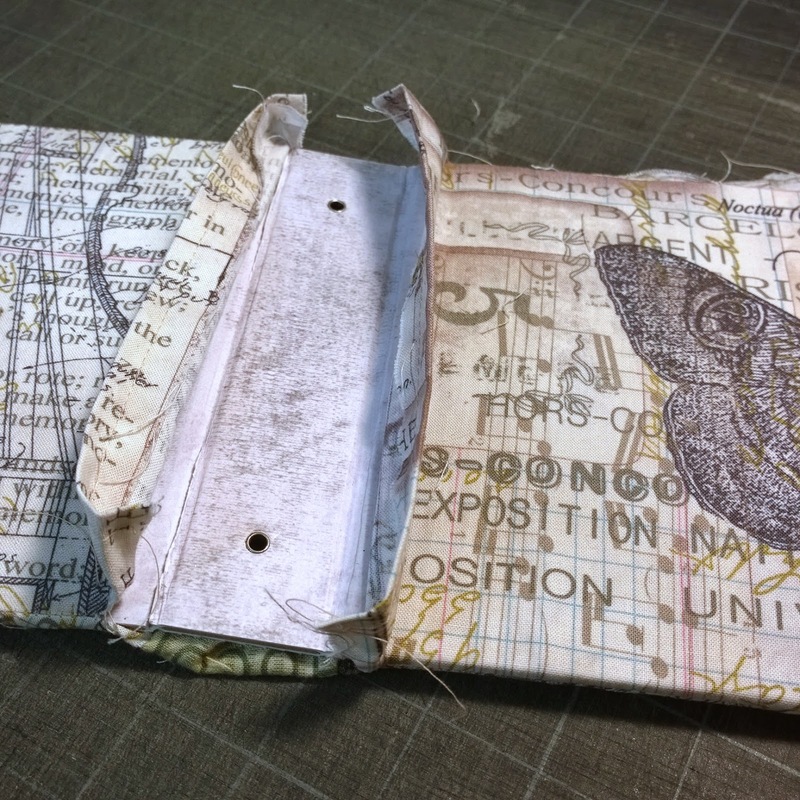 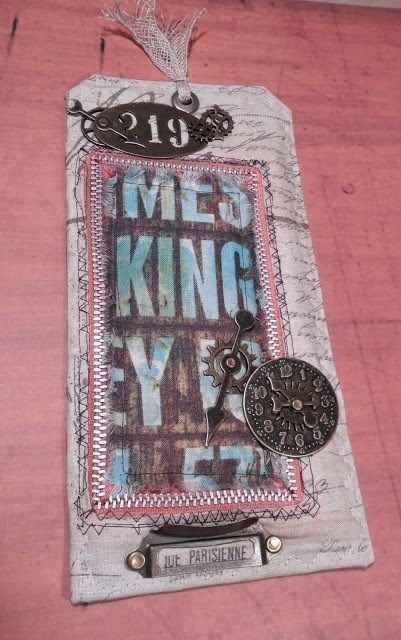 Love your use of the Tim Holtz fabrics and all the lovely tags. 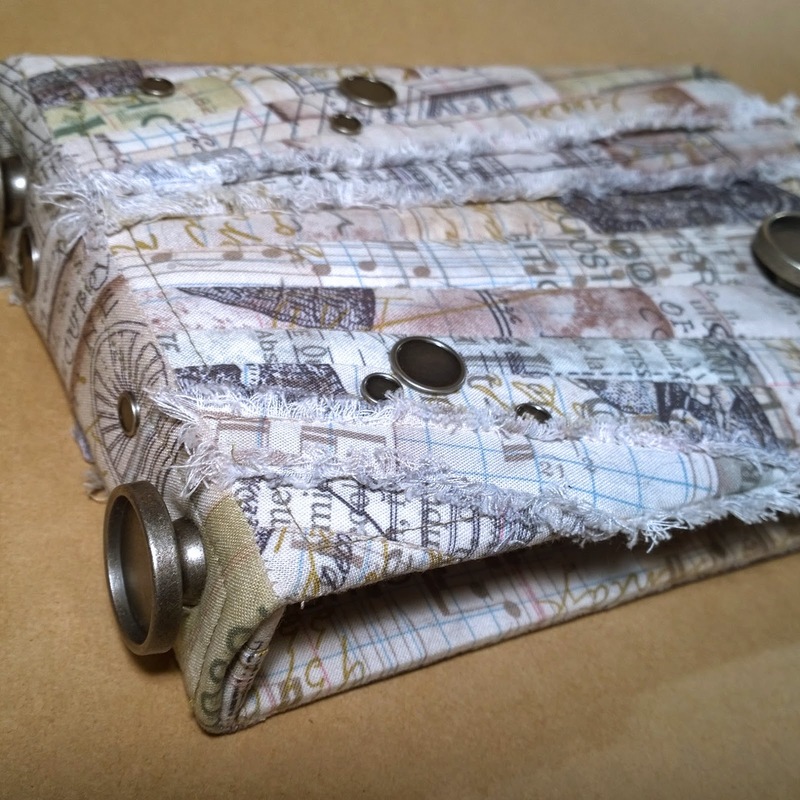 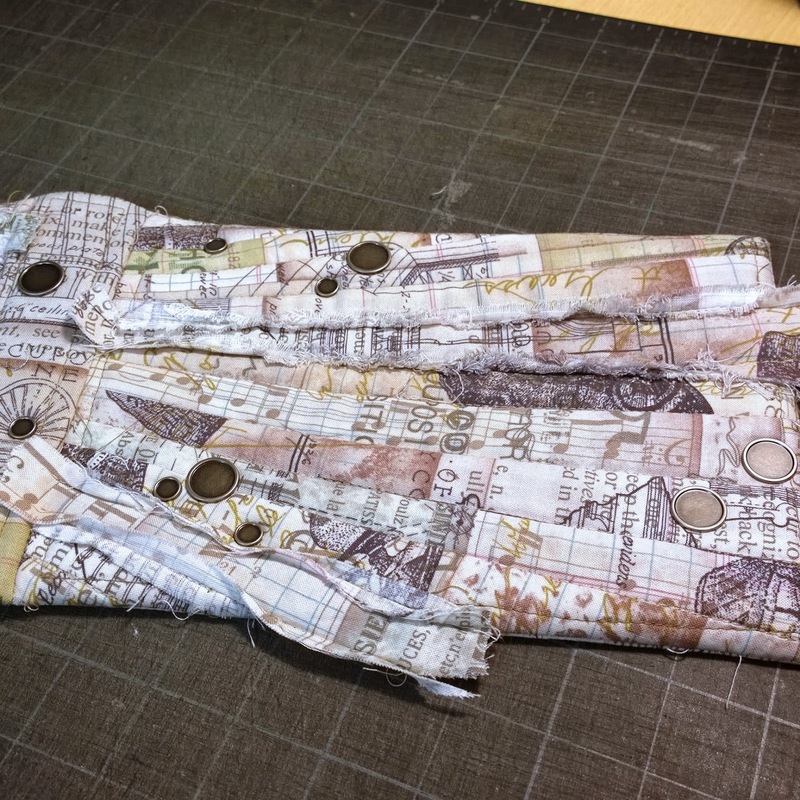 A stunning make, Vicki - beautiful use of the fabrics, and I love the "naked" custom fasteners! 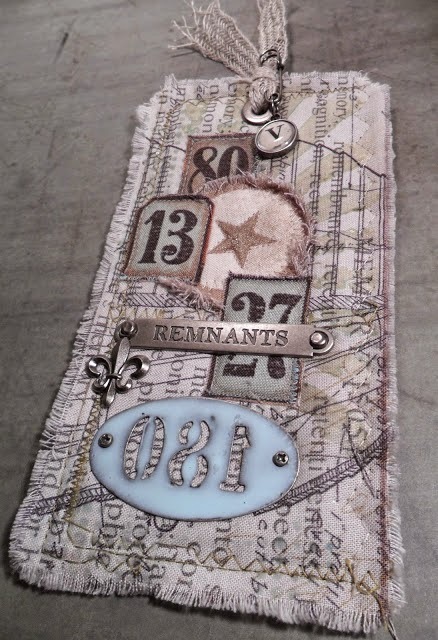 Fabulous to have you along for the ride at A Vintage Journey.